Sunday through Thursday, 20% discount on 2nd night. Must be requested at time of making reservation. Reservations must be made from the link below or by phone. Please remember to mention the discount special. No other discounts can be applied. No gift cards. Become a FAN on the After Eight Facebook Page, click above. Follow my Blog, click above. Mud Sales - Still time to make reservations!! Annual Mud Sales have begun in Lancaster County Pennsylvania. There is still time to make reservations. You will not want to miss the experience if it is your first time. 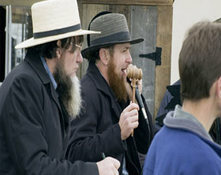 The Amish host Mud Sales which are auctions that raise money for the local fire departments. Each Mud Sale is unique and offer a variety of items, including, farm animals, antiques, tools, quilts, building materials and much more. Also enjoy the local food vendors for an additional taste of Lancaster. Make sure you bring your boots, because it can be very muddy. There are so many selections of theaters in Lancaster County, religous, comedy, drama, musicals, vocalists and more. Moses will be performing through April 18, so there is still time to see this original production. Don't forget our two Dinner Theaters, Dutch Apple and Rainbow. American Music Theater has a line up of musicians each weekend and you won't want to miss Stitches our local Comedy Club. Click on the links below for the most up to date information. The Sight & Sound Theater is perfoming the "Moses" through April 18, 2015. Back from vacation and enjoying this beautiful winter. Well, it is beautiful, and so far not too much snow. I am sure we are all looking for some warmer temperatures. Spring is right around the corner and daylight savings time is less than two weeks away. 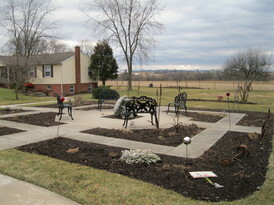 I am looking forward to another wonderful spring here in Lancaster Pennsylvania. March is the big month for the mud sales, along with all other places to venture and explore. It is always fun to see familar faces and I thank all my past guests for passing my name along to their familes and friends. I look forward to this coming year and hope that you have time to visit again.